Former “The Daily Show” host Jon Stewart played a pivotal role in the WWE Summerslam co-headliner. The comedian, who was appearing as the show’s celebrity emcee, aided Seth Rollins in his match with John Cena. 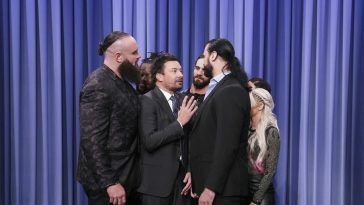 Stewart’s interference — designed to generate mainstream publicity for WWE following its Brooklyn-based summer event — directly led to Rollins’ victory. Late in the match, John Cena positioned Rollins for the Attitude Adjustment. While his move succeeded, he accidentally clipped the referee in the process. 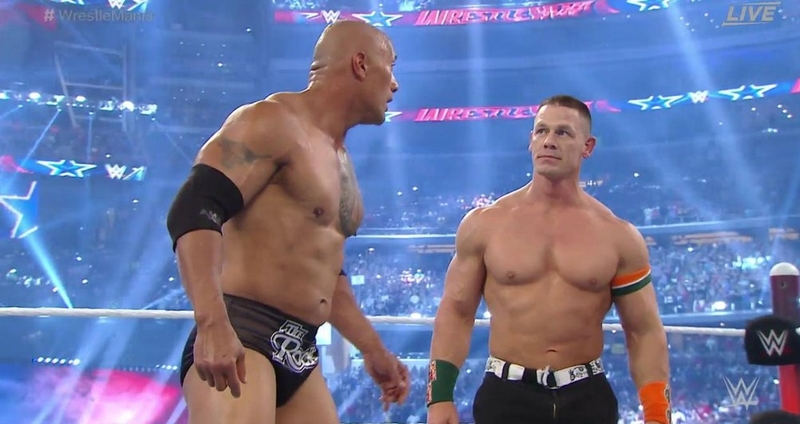 Selling the impact, the referee rolled out of the ring — and was unable to count John Cena’s victory. When both men got to their feet, Rollins delivered a knee to Cena’s recently-broken nose. The move dropped Cena to the mat, but a worn down Rollins — and one well-aware that the referee was on the outside — had no interest in rushing to his feet. As both men recovered, Jon Stewart rushed down to the ring with a chair. While the announcers played up his recent feud with Rollins, Stewart seemed to be contemplating attacking both men. After seemingly committing to a strike on Rollins, he turned around and attacked Cena with the chair. Rollins pedigreed Cena onto the chair, and the recovered referee counted three. Seth Rollins consequently retained his WWE World Heavyweight Championship and won John Cena’s US Championship.